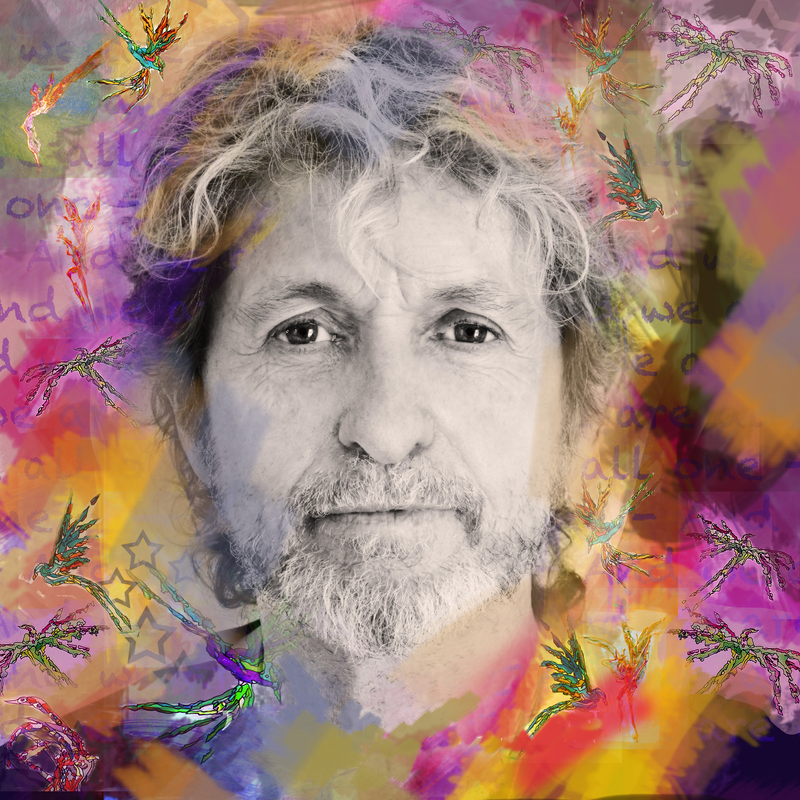 In the first of our two-part interview with Accrington-born rock star Jon Anderson, the founding member of Yes talks about his childhood growing up in the town and how he returned for a UK tour with fellow bandmates Trevor Rabin and Rick Wakeman. It could be the trailer for a blockbuster movie. Two little lads playing football in the empty car park of a northern town – one that would grow up to become a cricket legend – and the other, a world-famous rock star. Who could have guessed the amazing fate of 10-year-old David Lloyd from Water Street and his 12-year-old-pal, John Roy Anderson who lived on nearby Norfolk Street? 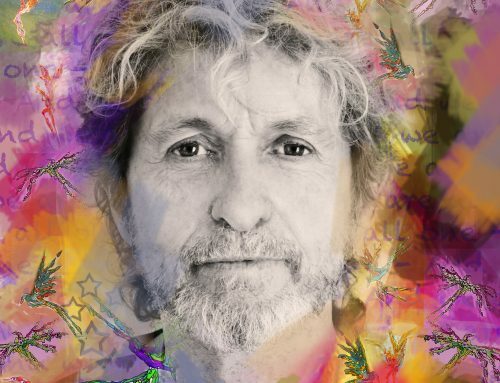 “David was my arch enemy,” jokes Accrington-born singer-songwriter Jon, who dropped the ‘h’ in his name when he found global fame with the progressive rock group Yes. The band’s biggest chart hit was ‘Owner of a Lonely Heart’, sung and co-written by Jon, and covered by many admiring artists over the years. “David lived a couple of streets away from me,” recalls Jon, who now lives with his second wife Jane in California. 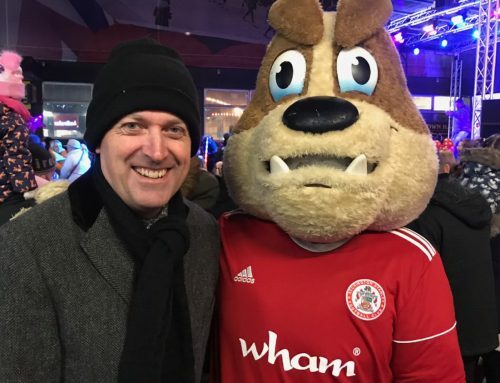 “Whenever I was on my way to play football in the car park of Accrington Stanley up at Peel Park, I would knock on David’s door and say, ‘You get your team together and I’ll get mine. ‘ We’d kick the ball around like crazy. I just wanted to beat him and his mates, it was always important that my team would win. We had this lovely rivalry with each other. After mentioning that Bumble had taken up bodybuilding in 2016, Jon quips: “It’s about time he got into shape. Although it is kinda weird too because I also started weight-lifting last year in preparation for touring. 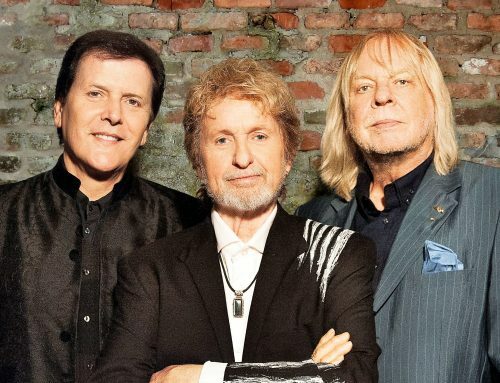 “You get to a certain age – David’s around the same age as me – and if you’re going to keep travelling the world, you need to be pretty fit.” The tour Jon is referring to is with bandmates Trevor Rabin and Rick Wakeman and their reformed group called Yes Featuring Jon Anderson, Trevor Rabin, Rick Wakeman. 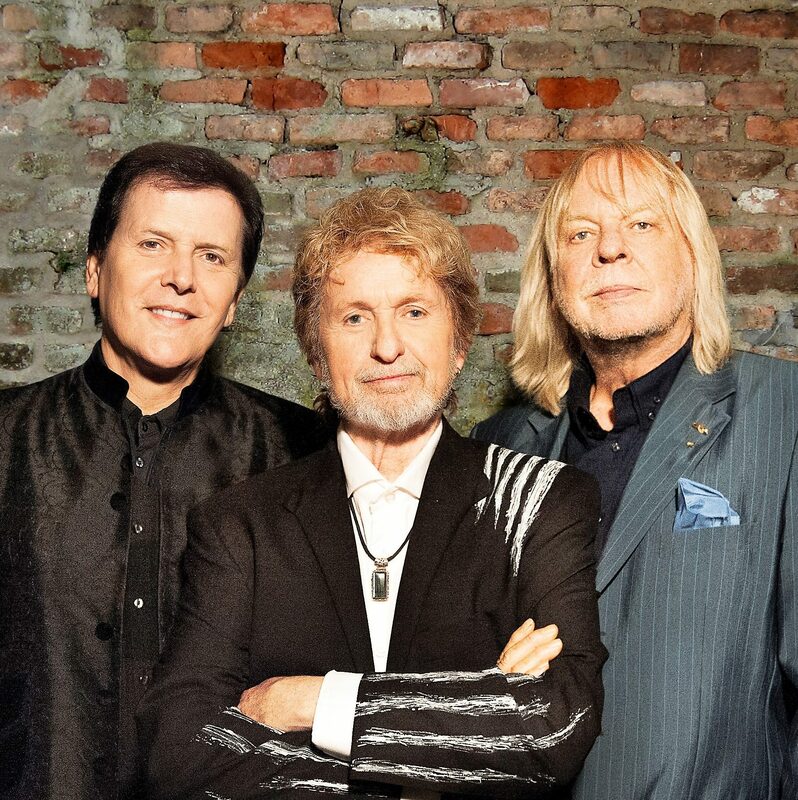 It is the first time the trio have toured together since 1990 and they kicked off their series of shows in North America, headed to the UK and finish in Europe. In 2004 Jon describes one of “the most wonderful moments” of his life when watching the sports channel ESPN. 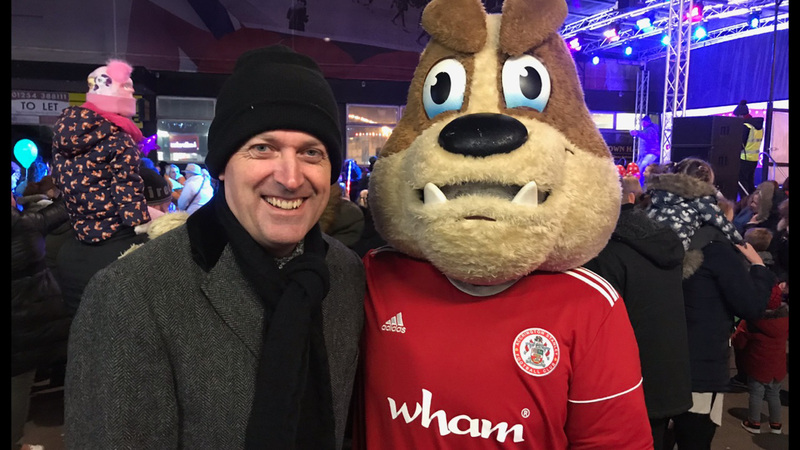 Says Jon: “The commentator said, ‘Next Tuesday we are going live to Accrington to see Stanley play Colchester in the FA Cup. Growing up in the town with his brothers Tony and Stuart and sister Joy was a happy experience. Jon’s father Albert was Scottish, from Glasgow, and his mum Kathleen second generation Irish with French ancestry. The couple were East Lancashire ballroom dancing champions, and Jon remembers their trophies proudly displayed on the mantelpiece. From the age of 10, Jon’s father, a salesman, became ill, so to help out with the bills Jon would deliver milk and work on a farm in Huncoat. When Jon was 18 he joined The Warriors, where he and his brother Tony shared the role of vocalists. He then quit the band in 1967, released two solo singles in 1968 under the pseudonym Hans Christian Anderson. It was around this time that Jon met the late Chris Squire and went on to superstardom after forming Yes, along with Pete Banks, drummer Bill Bruford and keyboardist Tony Kaye. Wherever Jon has travelled in the world, Accrington has always held a special space in his memories. “We drive up to Accrington whenever we are in the UK,” he says. Jon likes to drive his wife Jane around Accrington to see his old haunts. “I always go to my old schools, St John’s and St Christopher’s. of year when you are nine or 10 years old because you don’t really have a care in the world. Jon and his wife Jane. “My wonderful wife Jane loves that place,” adds Jon, affectionately. Sadly there will be no time for a trip to Jon’s hometown during the UK leg of ARW’s tour. “Touring is not the easiest thing in the world. Jon’s love affair with music is a lifelong one. He was brought up on The Who, Rolling Stones, and The Birds. But the first song to have a huge impact on Jon’s life was a track on the Beatle’s Revolver album called Tomorrow Never Knows. He says: “It wasn’t a hit but it was great. It was the same with Frank Zappa. He didn’t have many hit records but his music was great. And it was the same with Yes. We didn’t have many hit records, but our music was great. fronted the Yes tribute band Close to the Edge. On reflection, Jon was released to bigger and better things and some amazing collaborations with people like Jean-Luc Ponty the jazz fusion violinist. The reviews of ARW’s concerts have been phenomenally good – with particular reference to Jon’s rejuvenated voice and presence. Touring with Rick and Trevor is always a lot of fun for Jon. “Rick is a bit of a comedian anyway and Trevor is very strange at times – like John Cleese! Jon adds: “First of all I love working with such great talent, we put on a great show of songs that everyone knows, we enjoy it and they are too damn funny those guys. Rick always tells jokes – his latest one which he must tell me twice a week is ‘People in Dubai, they never watch the Flintstones.’ ‘But the people in Abu Dhabi do’. “To be able to sing and perform with Rick and Trevor at this time in my life is a treasure beyond words. Read Part 2 of our exclusive interview – NEAR DEATH…TO DEVELOPING A THIRD EYE!